Are you an Omaha-based driver who is looking for the very best in Chevy service? Well, then get ready for some excellent news: at Gregg Young Chevrolet, we offer the very latest and greatest in automotive service and maintenance. Not only will you be able to look forward to low prices and quick wait times, but we also have on staff some of the very best technicians in Nebraska — indeed, the Prairies — as well as a fully equipped shop with the most advanced equipment. Get in touch pronto, and we’ll help you make an appointment! And while you’re here, check out our extensive inventory, too. Yet in addition to this very partial list of what we have to offer, Gregg Young also boasts a few other strengths. First of all, we have a fully stocked part-room, including aftermarket wheel and tire packages, meaning that whether you’re in need of routine repairs or some complicated higher-order maintenance, it’s likely that we’ll have all the parts we need right at the service center, saving you money on shipping costs and saving time, too. 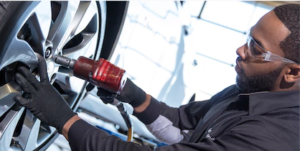 Second, we have an Express Service Department with the best-trained technicians in the area, meaning that in all likelihood we’ll also have someone familiar with the particularities of your vehicle. Not only will this save on time and costs, but it’ll help ensure that you get the very best in repairs. Find Out What We Have to Offer Today! We urge you to find out what Gregg Young has to give you today. Get answers to all your questions using this FAQ, and be sure, too, to check out what sort of service specials we’re featuring this month. Then, schedule a servicing appointment ASAP, and we’ll get your car all fixed up and ready to go. So don’t delay: visit Gregg Young Chevrolet today for the bets in automotive repair and maintenance!